The new, silver-hulled Baltic 85 Custom has recently left Jakobstad, Finland bound for Southampton in the UK. Following successful sea trials off Jakobstad this mini-superyacht, designed by Dixon Yacht Design as an easy-to-sail, short-handed performance cruising sloop, is ready to embark on her first season afloat. She benefits from an unusually spacious living area with sleeping accommodation for the owner, two guests plus crew. Interior design is by Mark Whiteley Design who has produced a refreshingly modern, light and airy decor style using pear wood throughout and natural light from numerous hull ports. The 85 Custom is constructed using an E Glass outer skin, a carbon inner and a foam core with all her interior bulkheads and accommodation using lightweight advanced composite structures built in house. In light ship trim she displaces just 50 tonnes. 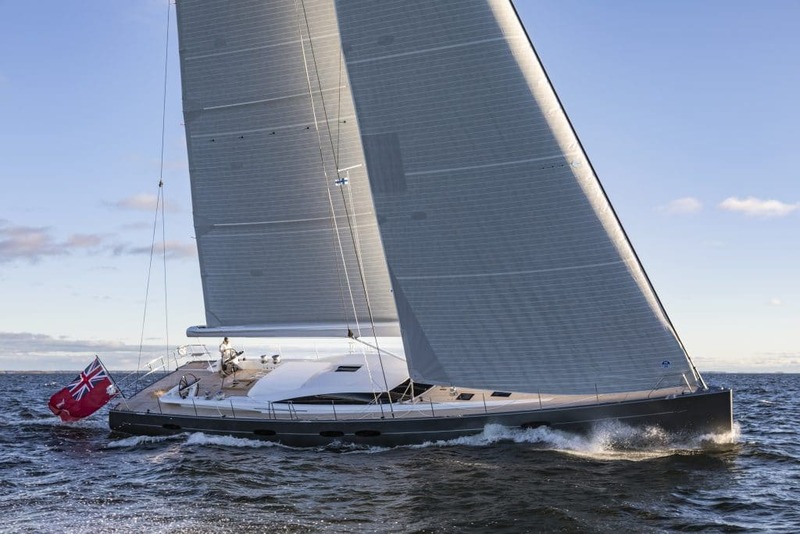 Baltic Yachts’ project manager Fredrik Hjulfors said that space planning has benefitted from the owner’s considerable sailing experience and ownership of a number of yachts. “The extensive use of 3-D modelling has also enabled us to use space highly efficiently,” he added. A key requirement is to remain in quiet ship mode for long periods and to this end the 85 Custom is equipped with a bank of 30 Lithium ion 24-volt service batteries with a large 2200 amp/hr capacity. A lifting keel and a powerful but easy to use sloop rig with a removable inner forestay will provide the performance this yacht promises. She should be pleasingly fast while providing luxurious comfort on deck and below.